Minimum quantity for "Endowment Fund donation $50" is 1. In 1989, ATC established the Henry J. Degenkolb Memorial Endowment Fund, named for a dedicated structural engineer ⎯ an international leader in the development of structural engineering technology ⎯ who gave outstanding technical support to the Applied Technology Council and its projects. The James Merriam Delahay Endowment Fund was initiated in 2005 by the Structural Engineers Association of Alabama to honor the memory of Jim Delahay, a former ATC President, known nationwide for his work to improve wind codes and standards. The purpose of the Degenkolb and Delehay Endowment Funds is to support projects of critical interest to structural engineering design practice, research, and education. Degenkolb funds will be administered to seismic-related projects, while Delehay funds will focus on wind-resistant design projects. Applied Technology Council is a California corporation exempt from federal and state income taxes under Section 501(c) of the Internal Revenue Code. Donations to either of these Endowment Funds may be tax deductible. (Consult your tax advisor). 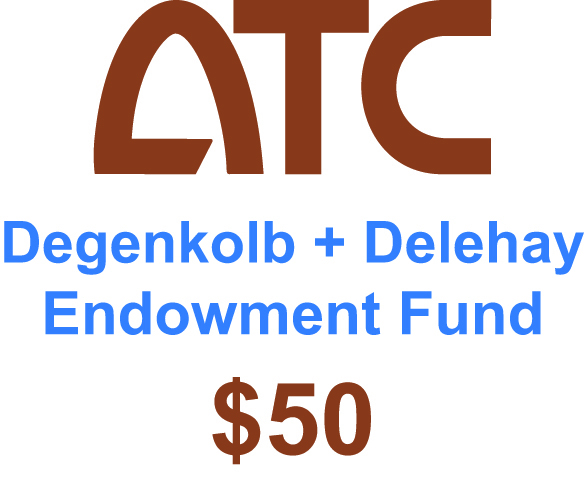 Note: Donations to the ATC Endowment Fund are split evenly between the Degenkolb and Delehay funds. To donate to a specific fund (Degenkolb or Delehay), please specify in the “Comments” section upon checkout. Unspecified donations will be split equally between the two funds.